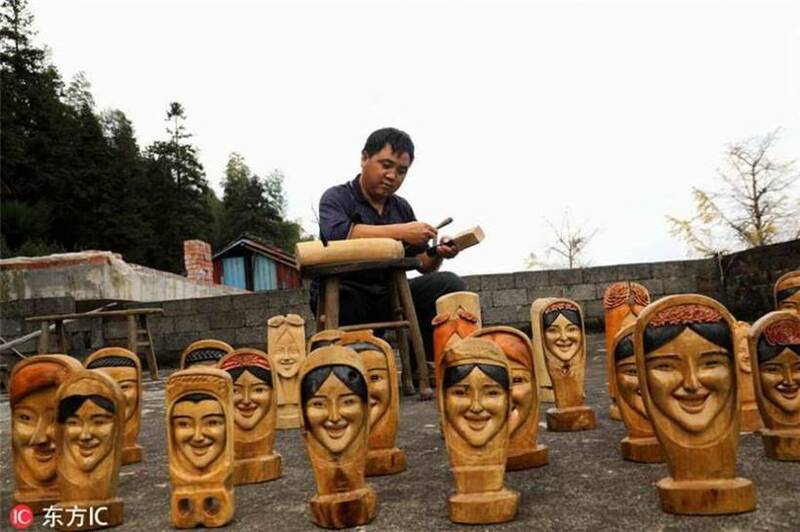 Wood carved with smiling faces → A farmer from the Guangxi Zhuang Autonomous Region turns wood into "smiling" faces. 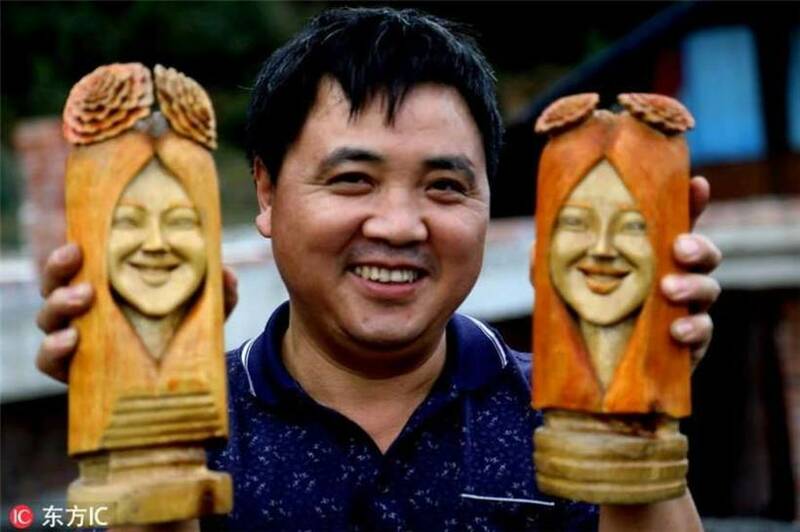 Jang Aolin, who comes from a remote village in the town of Motsuan, was passionate about carving wood at the end of 2016, although he had never taught the art of woodcarving. 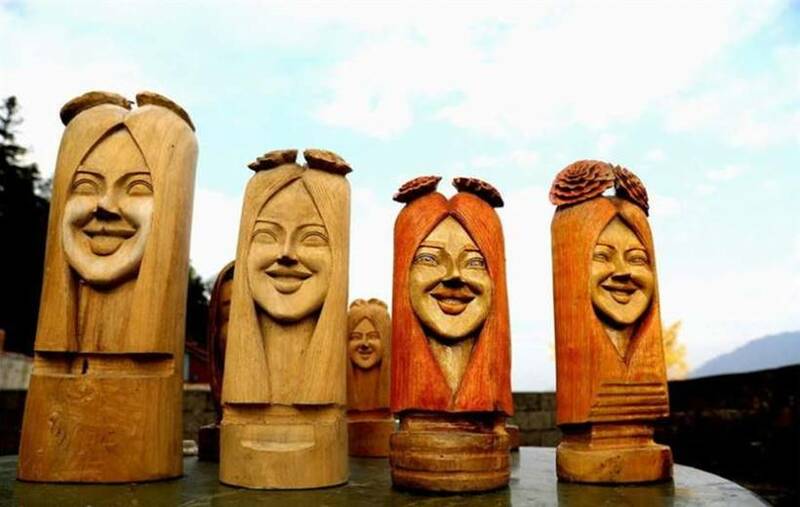 Using images from the cell phone or television, he began to work with his wooden sculptures and has so far created more than 30 smiling female faces, working in his spare time from farm work. 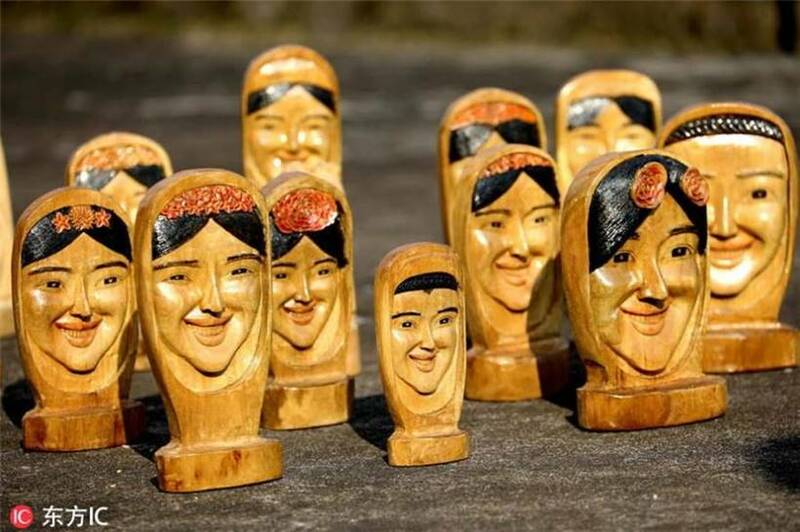 Carving smiling faces, I feel happy during the tiring rural life and I hope these sculptures can bring joy to the other peasants," Jang said.